The Southern girl in me loves a good monogram. 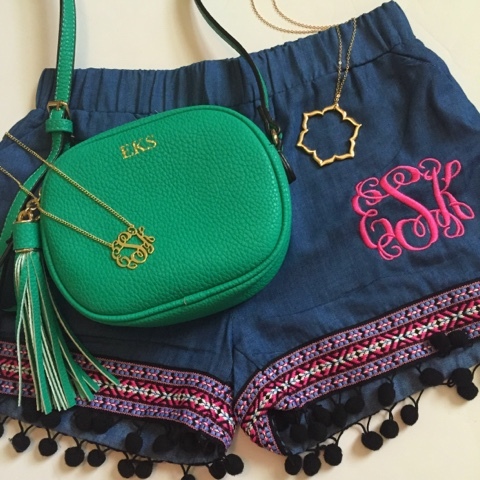 Is it really yours if it isn't monogrammed? Haha, but seriously, I love monograms. When I first got married, seeing my new initials just made me even more excited about being married. As cheesy as it sounds, I loved getting a new last name and sharing a name with my husband. I think monograms are the perfect gift for a bride or anyone! My new favorite place to get all of my personalized items is I Love Jewelry. Everything on their website is so stinkin' adorable at amazing prices. I had too much fun shopping their site. My first pick was this 1.25 lace monogrammed necklace. I have always wanted a necklace like this because it's so classic and goes with everything. 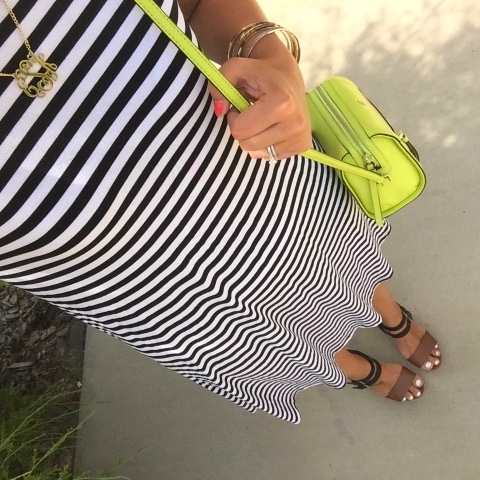 I paired mine with a swing dress, wedges, and a bright purse. I've also worn it a few times with a t-shirt to work at summer camp. It's such a versatile piece. 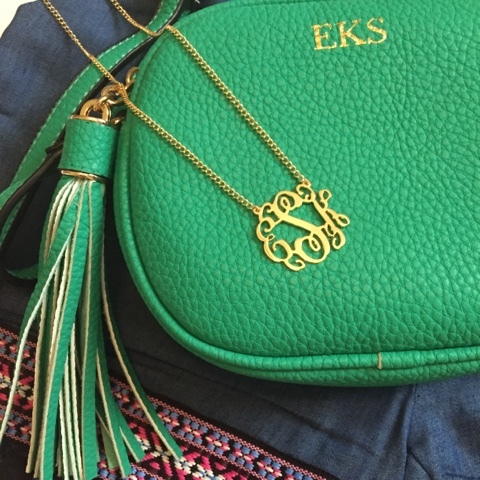 My next pick was this monogram crossbody tassel bag. The color and big, bold tassel caught my eye right away. I also love this style of monogram. I've seen it on more expensive, designer bags but this adorable little bag is much more affordable. It's now my go-to bag! It adds the perfect pop of color to any outfit. 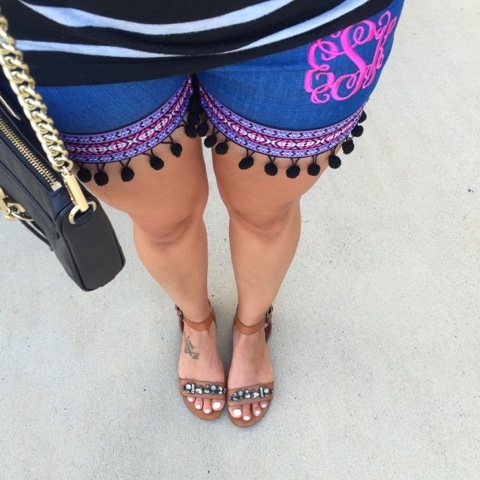 My last pick were these monogram denim pom pom shorts. And how fun are they?! I couldn't resist the cute little pom poms and embroidered trim. 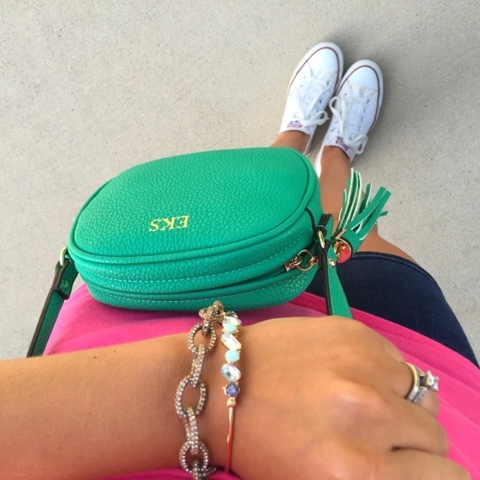 Be sure to follow I Love Jewelry for more affordable and adorable monogrammed items.